Level 3 and Cogent have hammered out a peering agreement. The Nov 9th date for Level3 to cut off the peering was getting really close, I am glad they got this resolved. I think there is going to be more of this type of activity now that there are more mergers in the works. AT&T and SBC will change the landscape a little plus with Verizon picking up MCI that will have a major impact on how the top tiers play out. I think they will need to change the definition of a tier 1 provider given these changes. The definitions are so old that they really don't fit how the service provider landscape looks today or even how it has looked for the past 5 years. Skype for Windows Change Log shows that you should be running version 1.4.0.84 due to some security issues with the client. The upgrade is super easy so I recommend to everyone who has Skype to do the upgrade ASAP. VMware Player is available for download. It basically allows you to run VM's that are built in Workstation, GSX or ESX on a machine without having to install a licensed copy of those products. This is huge for training, labs, or vendors who want to distribute a copy of their product without having to have folks install a base OS to test something out. I hope this pushes Microsoft to do something similar with their product line also. Even though both Virtual PC and VMWare workstation are relatively cheap products they still are not as widely available as one would like to see. Cisco has released the next version of NAC (Network Admission Control) that is now fully supported in the Catalyst switches and the Aironet wireless gear. NAC is part of Cisco Clean Access product line and they seem to be making good progress. In the other camp, Microsoft is promoting their product, Network Access Protection or NAP. Microsoft is not pitching this as a security solution as much as a management solution. They are doing some really exciting things that will allow a Windows Vista client to use machine credentials, health credentials (from NAP) and Kerberos credentials from user login to build out an IPSec session to the Domain Controller. Very interesting stuff. I was also told to expect a join announcement from both Microsoft and Cisco about how their platforms will work together some time soon. It will be interesting seeing how they are going to get the platforms working together. One of j2's BGP peers is Level3 so I know first hand some of the issues that went along with their serious outage issues on late Thursday early Friday morning of this last week. We also peer with InterNAP (excellent service and very knowledgeable BGP engineers) and I must say we have been very happy with InterNAP. My biggest concern with the Level3 outage was how slow Level3's network was at withdrawing routes. If you read the NANOG mailing lists you will see countless tales of folks taking down their BGP sessions with Level3 only to find that their network was so messed up that they couldn't get the routes to stop advertising through Level3. That's a huge problem and something that should be addressed. For those of us that are multihomed and diverse there should be high expectations that we can minimize that impact of such a large problem. I also wonder if IPv6 would have done any better in this situation. Honestly, I don't know. I managed to get the time to load up Windows Vista Beta 5231 inside Virtual PC. Very cool stuff. I am gonna start working on some hands on labs with Vista and IPv6, ISATAP, 6to4, and Teredo. I need to get a few Vista installs done on some laptops to get a full lab environment built out but that should happen shortly. For those who have not seen the new OS, you are missing out! There are some very cool features in Vista. I really want to get a nice workstation to see the new graphics load up also, sweet! Last night was the monthly meeting for TVNUG and we did a walk through of both Virtual PC and VMWare Workstation 5. Jose showed off his kung fu and had Apple's OSX x86 operating system running in a VMWare virtual machine! Way cool dude. I also gave a test trial of my IPv6 presentation. I got some good feedback about it and made a bunch of changes to the slide deck on the flight down this morning before presenting to the West Michigan NT User's Group. 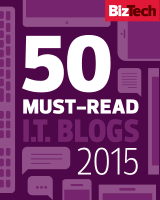 I hope the IPv6 and Vista story is interesting and compelling for IT Professionals. 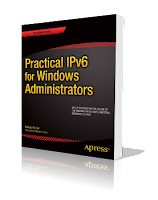 I really think that more people need to start paying attention to IPv6 given what Microsoft is doing with it in Vista. WMNTUG - West Michigan NT User's Group was kind enough to invite me to do a presentation on IPv6 in Windows Vista (Thanks Liam!). I was using Skype to do the voice part and I was using GoToMeeting for the presentation of the slide deck. GoToMeeting is a Citrix product and very cool, Mike Pennacchi turned me on to it, so far I am sold. I also managed to have a colleague (Hey Mark!) who wanted to sit in join the Skype call and join the GoToMeeting session and was able to see everything that the Michigan User's Group got to see. This is some very cool stuff and I can see how doing remote labs, trainings and demos would be just awesome. Slashdot has a fun article going on now titled: Slashdot | The exhaustion of IPv4 address space. It relates to IPv6 and what is going on in the market currently. Sort of funny that yet again the major topic is the exhaustion of IPv4 addresses instead of any of the cool new features that IPv6 is really all about. 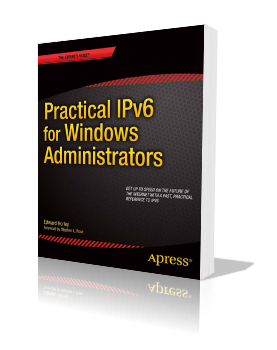 Anyway, I will be giving my first 101 presentation on IPv6 in Windows Vista to a user group this Weds - we'll see how it goes! Hope to get my IPv6 articles finished of here shortly. I might even post so short sections here. This is a little off topic but the Bird Flu that is spreading from Asia into Europe is really alarming. Not only is the financial impact scary but the chance it could become a much more serious virus that is spread to humans is a huge concern. Let us all hope this doesn't turn into this century's "black plague" conterpart. Google.org just came out, a bunch of sites have covered this. I find it interesting given the insane amount of wealth Google has managed to generate that so little has gone into philanthropy. To date they clain $33M has been donated but Google is only putting in 1% of the equity from last year's IPO and 1% of it annual profits. 1% ?!?! Are you kidding me. Now granted the Bill & Melinda Gates Foundation has been around for a few more years but they have given out in excess of $8B (yeah, that's a B) to date and this is the personal foundation of a Microsoft founder, not the company. Microsoft through their Microsoft Community Affairs has donated $47M in cash and $363M in software to nonprofits organizations around the world just last year. I don't expect Google to start donating at the rate of a big established firm like Microsoft but honestly most corporations donate more then 1% to deserving causes. Now if only I could get my company to believe in some of that! Linksys of all the SOHO hardware vendors gets it. They just released the CIT200 and this seems to be what a lot of Skype users have wanted. An easy way to step away from their computers but continue to use their Skype services. Brilliant. Hopefully the initial price point will come down a bit (starting at $130 or so) so that us average folks will seriously consider it. I wonder what hacks are going to come out for this! Cisco has done a pretty good job allowing Linksys to innovate separately and at the cutting edge, kudos to Cisco for that. I attended the EBCUG meeting last night and Netformx gave an overview and presentation on their product. Soooooo cool if you are a Cisco VAR. If you have sales engineers spec'ing out product and building bill of materials this product will save you a TON of time and cut down on errors. I was very impressed with what it does. It can even audit what a customer already has and build out network diagrams from that. If only they had something similar for all those hardware/software VAR folks! SANRAD came and presented at this months SFNTUG meeting on their IP-SAN switch products. The solutions coming out for iSCSI are pretty compelling now. Virtualizing storage and having a simple management interface to do the work is very appealing and a lot of folks at the meeting were talking about plans to evaluate their storage now. I think there will be some consolidation in the market but there really are some neat solutions out there, just a matter of finding the solution that fits your needs. While I was up at the MVP Summit there was more then a side mention of Microsoft System Center Data Protection Manager which is available for a trial download. Microsoft seems to be doing a push into the storage area. Data Protection Manager (DPM) is a server software application that optimizes disk-based backup and recovery and does it centrally. Vertias BackupExec, Windows Backup and Yosemite Backup are all on board to work with it. Looks to be an interesting solution in the CDP (Continuous Data Protection) market. For those that don't follow service provider peering issues this might be an interesting look into what happens when provider depeer. Earlier today Cogent and Level 3 depeered which has caused all sorts of issues, primarily for folks who are peered with only one provider and they happen to be Level3 or Cogent. They have a bit about it over at CNET News also which is a good read. As a side note, CNET News also has a new look and feel - apparently so they can fit more advertising on the right hand side. We haven't had much issues with the Level3 and Cogent depeering since we (j2) peer with both Level3 and Internap. Cisco released a new layer 2 switch designed for the SMB market not long ago. Same form factor as the 3750's but they are calling them the Cisco Catalyst Express 500 Series Switches. If you just need a fast layer 2 rack mount switch this might be the way to go. They support 802.3af (Power over Ethernet) so they would be good for Wireless AP requirements and perhaps some other POE devices. Does anyone else wonder why Cisco changes the form factor for the switches and routers so often? It sort of drives me nuts. The 2950, 3560/3550, 3750 models are all different in appearance but you can get each one in a 24 port or 48 port configuration. Now the new 2960's look like the 3560's and the new Express 500's look like the 3750's. Ugh! Is it to much to ask to get a consistant look and feel and could they please put the full model number on the front plate of the fixed-configuration gear? On a side note - did folks see that Cisco sold its 6 millionth IP phone? Can you believe that? Wow. Interz0ne West Security Conference this weekend. Interz0ne West is a new security conference being put on in Walnut Creek, CA - hey, it happens to be where I live! Anyway, they have some excellent speakers lined up and look to be a good event for a first time security conference. The new Network Access Protection (NAP) will have some news coming out soon also. Word on the street is a joint announcement with Cisco will finally come out explaining how Network Admission Control (NAC) from Cisco will work with NAP from Microsoft. This is good news since the last news announcement about Cisco and Microsoft on this topic came out in October of last year, yeah that is right a YEAR ago! I guess the lawyers have been making sure they are demonstrating their "worth" in this case - geez. Well, I have meet a lot of great folks up at Microsoft that develop the networking stuff. Wireless, TCP/IP stack, IPSec, IPv6, QoS, http.sys, you name it, if it involved networking I heard about it. 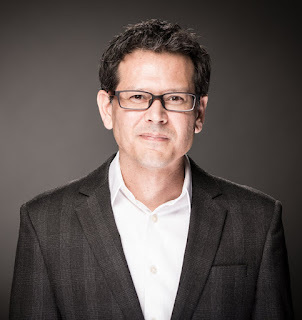 I have to say that Joseph Davies better known as "The Cable Guy" was great fun to chat with and I was very excited about the new IPv6 changes Microsoft is doing. I don't think folks realize how big a deal this is going to be when it comes out. I am in the middle of writing an article about it and hope to put up some more details here shortly about some of the changes that will impact folks deploying and using Windows Vista and Windows Longhorn Server. Many thanks to the Microsofties Susan Moran, Eddy Malik, and Joseph Davis for the warm welcome. It was also very nice catching up and meeting Laura Hunter, Mike Giorgio, Ed Roberts, Susan Bradley, Oliver Nguyen, Denis Jedig, Deji Akomolafe, Les Pinter and countless others who are MVP's and made the event memorable for me.